Take care of your wooden windows and they should last for decades. In fact, regular cleaning and maintenance can often reset the lifespan of wood, with some homes not needing to replace their windows for 100 years or more. One of the first tell-tale signs that a wooden window needs replacing is visible rotting or peeling paint. Despite the fact most wooden windows are treated to withstand the elements, they’ll eventually lose their ability to rebel moisture. This is when paint starts to separate from the wood. You may also find that the openers (or sashes) start sticking or no longer close properly. If moisture has caused the wood to swell dramatically, there’s a chance they might not open at all. In the worst case scenario, water will actually seep through the window, which is typically caused by decaying wood or worn away seals. At first, you’ll probably notice a build-up of mould around the corners or edges of your windows. Eventually, this could turn into a leak or draught that makes your home too uncomfortable to live with. 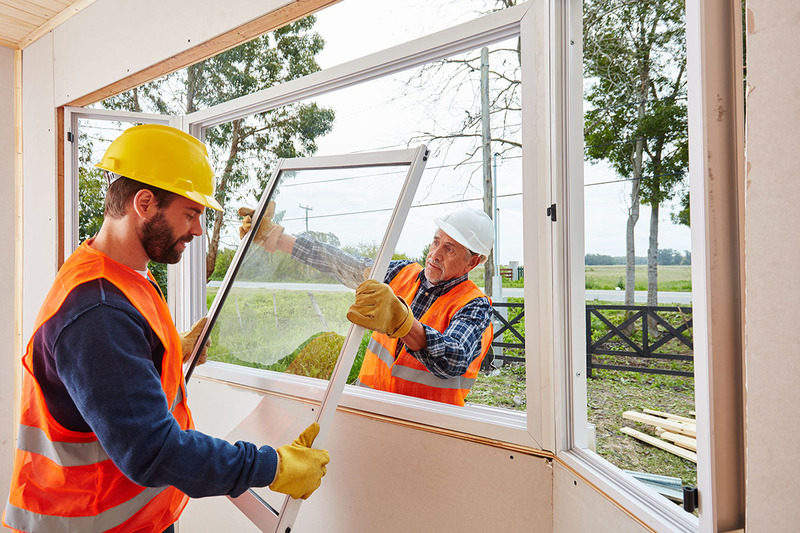 Energy efficiency – Regardless of whether they are showing obvious signs of damage or not, older wooden windows could be the reason for significant heat loss, resulting in poor energy efficiency. Higher bills – Seeing as your central heating system will be working harder to compensate for heat loss, higher utility bills are a distinct possibility. The same can be said for moisture creating cold and dampness around windows. Security risk – Seals units are much easier to remove if the softwood can be pushed back. Criminals may also be able to break locks or hinges if the surrounding wood is decaying. More noise – Sound insulation is often compromised by damaged wooden windows. If exterior noise such as traffic or voices is getting louder in your home, it could be because of failing wooden windows. Nicer aesthetic – Fixing and painting your wooden windows is one option, but you might struggle to restore them to their former glory. Replacement windows can make your home a lot more attractive and appealing. Property value – Even if you’re not planning to sell your property in the near future, new wooden windows could increase its value. You may also want to look into door replacements at the same time. If you’re not sure whether you need to replace your wooden windows, get in touch with Colne Valley Windows and we’ll be more than happy to help. We offer honest, reliable estimates when it comes to both windows and doors – something you can see for yourself with our Checkatrade reviews. You can even send us a picture of your home to info@colnevalleywindows.co.uk and we’ll call you back with a rough quote. Copyright 2017 Colne Valley Windows, All Rights Reserved | Web Design & SEO by SEO & Web Ltd.